UBS is the first bank to plead guilty and pay a $545 million fine for the manipulation of the $5 trillion-a-day forex market. Another four major UK and US banks could be facing similar settlements with the regulators of more than $5 billion. The Swiss bank initially reported the forex rigging to the US Department of Justice (DOJ). The bank has agreed to pay $545 million in combined fines; the settlement includes admitting manipulating the Libor, London Interbank Offered Rate, said UBS on Wednesday. "The conduct of a small number of employees was unacceptable,” the Chairman of UBS Axel Weber and Chief Executive Sergio Ermotti said, adding that the bank had taken appropriate disciplinary action. 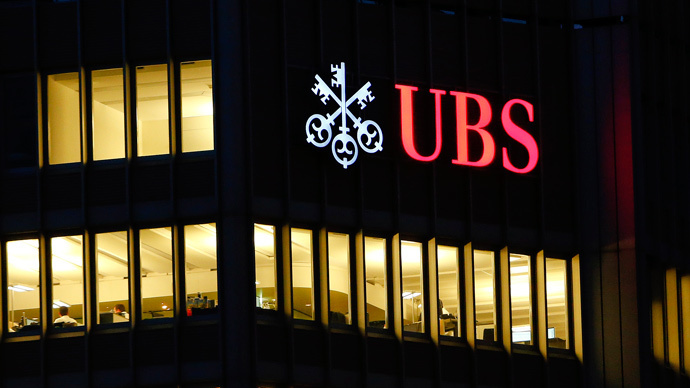 UBS escaped any fine from the DOJ on the forex issues by informing the prosecutor of the market manipulation, while the US Federal Reserve fined it $342 million. This gives a clear signal that JPMorgan Chase, Citigroup, Barclays and Royal Bank of Scotland are facing the same fate and will pay more than $5 billion in total settlement with US and British authorities over rigging of the currency markets, a source familiar with the situation, told Reuters. An announcement from the DOJ is to be made as soon as Wednesday. JPMorgan and Citigroup will be the first major US banks to plead guilty to criminal charges in decades. Barclays is also facing penalties from Britain's Financial Conduct Authority, and is preparing to pay as much as £2 billion in penalties. Fines are also expected from the US Federal Reserve, the US Commodity Futures Trading Commission and the New York Department of Financial Services. Bank traders allegedly exchanged information on customers and their plans via online chats and instant messaging, giving false signals to other players and aiming at extra profits for themselves. Libor is the primary global benchmark for short-term interest rates, used for a range of retail products, such as mortgages and student loans. For individual banks, Libor is in an indicator of the lender’s health which reflects the cost at which a bank concludes it can borrow funds.